Definitely curious, occasionally cunning but always cute. Australian slang: “Like a shag on a rock” means abandoned or alone. This makes sense as you often see these magnificent birds sitting on a rock, all by themselves. They appear to be by themselves, but a visual sweep of the area often shows there are several Cormorants about. On most trips on board the Plover, a pair of scallywag Great (Black) Cormorants, affectionately named Pete Repeat and Barry, that come over to visit in the hope of a free feed. They watch carefully as fish are hooked and landed, then listen out for any undersized ones that are being returned. After about five fish each they head off. It is fabulous to watch them. 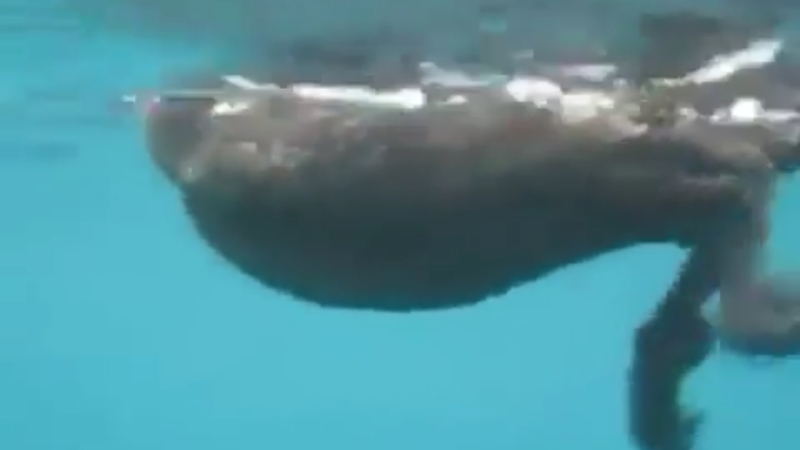 They quickly dive the throwback fish and bring it to the surface. The delicacy is flipped by their beaks so that it can be swallowed head first. This allows any spikes to be avoided and for their lunch to slide down into their gullet smoothly. Smart birds indeed! On another occasion, the Plover was escorting a small family group out to the shipping channel to scatter the ashes of their loved one. Pete and Barry flew up to the boat several time wanting it to stop and anchor up for fishing. When the Plover finally stopped, the look of disappointment on the face of both birds was priceless, as the two Cormorants realised there were no rods going out and definitely no fish being caught this day, especially after following the Plover such a long way. Not to be discouraged, they were rewarded royally with fish the next day. Gotta love them!! 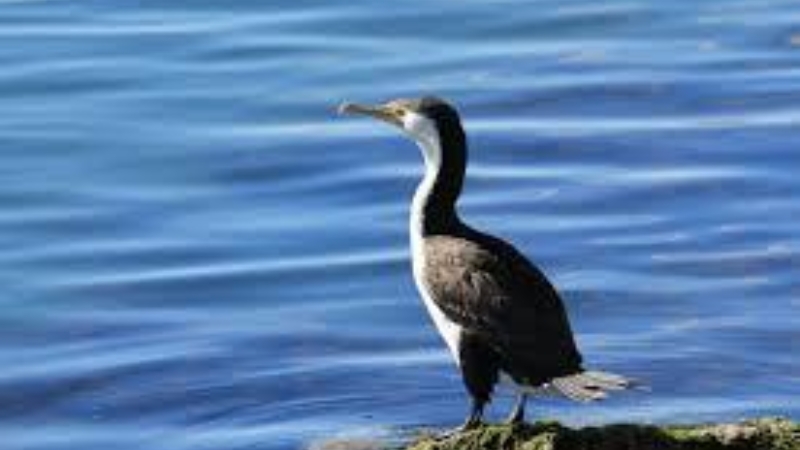 Kevin, a Pied Cormorant, is the third bird to join the merry band at different times, but more often than not, he can be seen airing his wings on the rocky outcrop of Schnapper Point, Mornington. 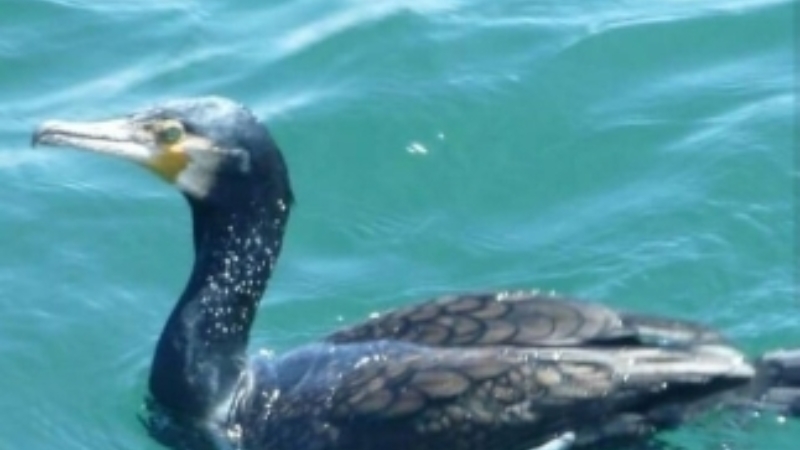 The word Cormorant is derived from the Latin words corvus marinus which means sea raven. Pied Cormorant - Phalacrocorax varius – Black, glossed green feather on their backs, with white underparts and black stripes on their thighs. They have a long, grey hooked bill and an orange patch in front of their eye. They fly in a V formation. Their length is 65-85 cm and wingspan is up to 105 cm. (Kevin is another local Cormorant of this species that regularly visits the Plover). Black Faced Cormorant – Phalacrocorax fuscescens - Black upperparts, and white underparts. They have a short yellow bill and a small crest on their head. Their length is 56-58 cm. They are a solitary feeder. Little Pied Cormorant – Microcarbo mela noleucos - Black feathers with a long, slender grey bill. Their length is 60-65 cm and wingspan is up to 105 cm. Little Black Cormorant – Phalacrocorax sulcirostris - Black feathers with a long, slender grey bill. Their length is 60-65 cm and wingspan is up to 105 cm. Found in large flocks. 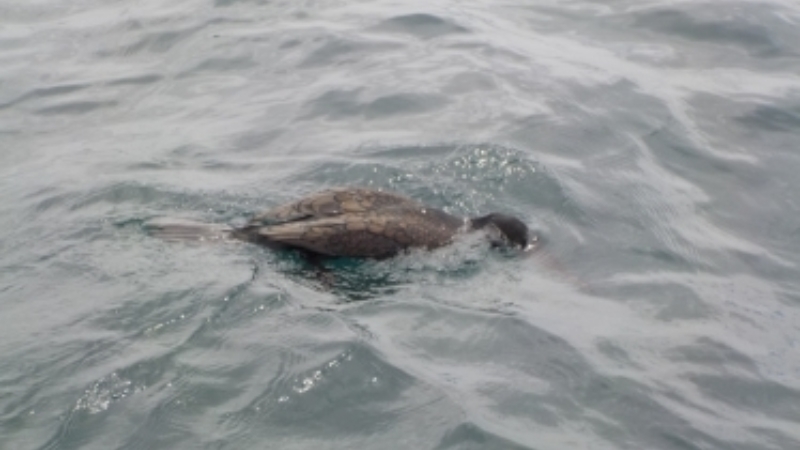 All the species listed in the description above have been seen in Port Phillip but the most common ones that have been seen by the bay Fish N Trips crew and guests and are often hanging around Schnapper Point, Mornington are the Great (Black), Pied and Little Black Cormorants. 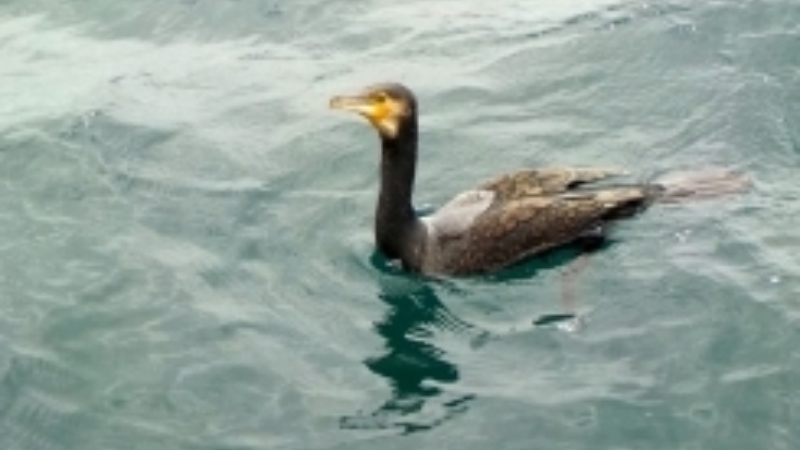 The Cormorants live typically in marine environments. Sometimes they are solitary, in pairs or in vast flocks (100 to 1000 birds). They have been known to be attracted by inland waterways, such as lakes and rivers, but it is the coastal areas that they prefer, especially in Australia. After feeding, Cormorants go ashore to dry out in the sun by holding their wings out. It has been suggested that they have preen glands secretions that are used to keep their feather waterproof. Cormorants use trees, rocky isles or cliffs to nest, particularly around the shoreline. Eggs are chalky blue in colour. Only one egg is usually produce a year. The young are fed via regurgitation. The ancestors of the Cormorant have been noted to date back to the time of the Dinosaur, but details of their evolution is generally unknown. The birds have been used as a tool in fishing practices historically around the globe (records found in Egypt, Peru, Korea and India) and they are still used today in China and Japan, but not on a large scale. 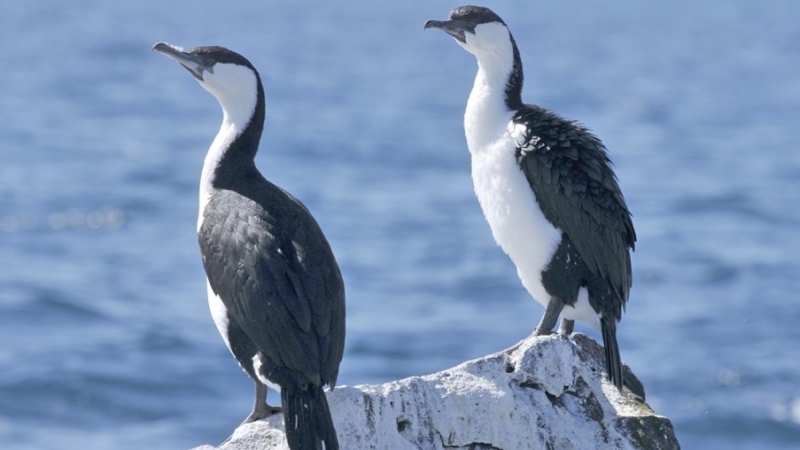 Cormorants are a protected species in Australia and need to be treated with respect. It is wonderful to see such a large variety of species, adding to the diversity of sea birds that use Port Phillip as their home.